The Canadian Blood Services says that the need for blood is constant and ONLY 2% of Reginans donate, based on 2014 stats of 169,000 population. That’s awful! I know that some people can’t donate for various reasons, but there must be more than 2% of our population that CAN donate. The hours are expanding to accommodate donors. As of April 5, 2016 the Regina clinic will be open Wed and Thurs from 8 am to noon and again from 4 to 8 pm. On Fri and Sat they will be open from 8 am to noon. Requirements are good general health, feeling well, 17 years or older. They have eliminated the upper age limit. 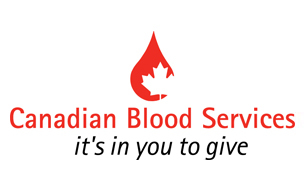 Check out www.blood.ca for all the info. If you travelled to Zika affected countries, then check the website above for info. If you travelled outside of Canada, the continental U.S. and Europe, you must wait 21 days after returning home before donating blood. One blood donation can potentially help 3 people. Five donors might be needed to save someone who has heart surgery. It takes approximately 1 hour of your time and you can donate every 56 days. And they feed you with beverages and cookies. You never know. It might be your friend or family that needs the blood someday. Our son received a bursary of $500 from the Canadian Blood Services a few years ago when he attended culinary school in Vancouver. This was because he and I recruited a few people to make a blood donation and a few of my clients and friends did go donate. Let me know if you do donate. I’d like to congratulate you! If you have never attended a show there, you should at least go one time. It’s a very unique idea, having theatre in the round, as they say. All the seats are great because of the middle stage. 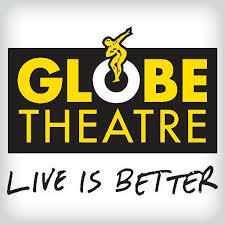 This is one of my pleasures, attending shows at Globe. Located downtown, there are lots of restaurants nearby to visit before an evening show. Parking can be interesting, sometimes we’re lucky and find a space on Scarth Street, sometimes we park on Victoria Avenue across from the Hotel Sask. We’ve never tried the parkade in the Cornwall Centre, but that supposedly is an option that the Globe offers. The present show called The Secret Mask is an excellent show about a 40+ year old man that hasn’t seen his dad since the dad left when the son was 2 years old. The dad has had a stroke and needs some help. The show made me laugh many times and sniffle with tears a couple of times. It’s a wonderful 2 hours of entertainment. I forget about the world in that small timeframe and get so immersed into the story. One of my clients who I also consider a friend, was in the row right behind me and if Julian didn’t say Hi to me, I probably would not have noticed he was there. That’s how focused I get with these shows (not the Shakespeare ones, those are not my thing). You must treat yourself to one of Canada’s best live theatres! That was a famous line of Clint Eastwood’s right? Well an appropriate start to how sales in real estate can go. Let me tell you about one example in Regina. A nice sized 2085 sq ft 2 storey house sold in March of 2011 in 1 day for $445,000! Wow. Then it had some updates to flooring, lights, counters and furnace and sold again in June of 2012, just a little over 1 year later, for $573,000. Yay for these sellers too. THEN (do you hear the thunder rumble?) 2014 and 2015 came along and the house was listed at $560s, then $540s, $520s, in the $5 teens, then had to sacrifice and list at $499. After 274 days on the market, they now have a conditional offer. Wow the other way! Poor seller. If you want to know the sale price, call me on Friday. Was one seller smarter than the other? Not necessarily. Sometimes we have to move, sometimes we want to move, whatever the reasons, we move. We can’t control the economy. That is life. Some days we are the pigeon, some days we are the statue. Sales and average selling prices increase in Feb for 1st time in months. 210 sales up 8% from Feb 2015 which had 195. We are still below the 5 year avg of 232 and the 10 year avg of 239. The year to date sales of 355 are up a bit from 353 last year. The HPI (home price index) slightly increased too. It measures residential price trends based on 4 benchmark home types and is considered a more accurate measure of housing price trends than average or median price. The HPI price of $281,700 is up a bit from $281,400 in Feb. 2015. The average sales price in Feb was $308,946, increase of 1% from $306,254 in 2015. The year to date average price was $309,067 up 2% from $302,426 in 2015. Sales volume of $64.9 million increased 9% from $59.7 million in Feb. 2015. Spring is usually a noticeable ramp up in market activity. CREA (Canadian Real Estate Association) raised its outlook for home sales this year, as Vancouver and Toronto markets charge ahead of expectations in contrast to other cities. They are expecting sales this year to grow by 1% instead of the earlier expectation of decreasing by 1.1%. Predictions are that BC and Ontario will drive the national average price up 8% to $478,100 in 2016 and make the national average price for a home sold in Feb to $503,057. Excluding those 2 markets, the average price was $355,235, up 8.7%. Today I was very fortunate to listen to a talk given by Mike Linehan the RBC National Head of Mortgage Specialists. I’m not a financial guru and to tell the truth when I heard that the talk was going to be about financial stuff, well snore!! BUT if I ever have a chance to hear this fellow again, I will jump over small plants to hear him speak (I’m short, so I can’t jump too high). He made financial stuff interesting and talked to us in a very down to earth manner, plus he had some fun stories to tell also. Canadians owe $1.65 for every $1 they earn. Ouch! Our unemployment rate is 5.5% in Saskatchewan. We are in a recovery mode in this province – just a few years ago we had 10,000 new builds in one year, now we have seen only 5100 new builds, then 5600, then 6500 – so we are heading back up. Toronto has about 6 million people and a shortage of listings. In Vancouver they are building 365 sq ft units/houses. Yikes. In Saskatchewan, our homes are still affordable, the market has softened but not spiraled. So there they were, in the parking lot of the Coop store/gas pumps and his daughter was having a meltdown because she had to be at her destination and working the very next morning and now they would have to wait 4 hours before the place opened, if it opened at all! Oh the stress! Well as Mike paced around the parking lot, a farmer came by in his tractor and asked what was wrong. Mike explained the situation and what else would you expect from a person in Saskatchewan? The farmer pulled out his card for the gas cardlock and filled up their vehicle with gas. And it took a full 10 minutes for Mike to convince this kind gentleman to accept the money for the gas. Now THAT is what we in Saskatchewan are made of! Getting back to the work stuff – We have to work harder for the money than before. The money is there. And aren’t Saskatchewan people known for being hard workers? That’s how my parents brought me up. Did you know that the Royal Bank is the largest bank in Canada and rated the most trustworthy. No surprises there. Because the guests at this luncheon were realtors and builders, Mike explained that “we’re alone together.” He and the Royal Bank understand that we get up unemployed every day. The Royal Bank knows that happy employees provide great customer service. We are in an era with fin tech meaning financial technology. There is disruption when we change things. And unfortunately sometimes human beings are replaced by machines. That is a fact and he stated that if organizations want to increase their technology and put people unemployed, then they should pay more taxes. Did you know that 1/3 of Saskatchewan people are Royal Bank clients? And people tend to move every 3 years? Is this a push for the Royal Bank? Not necessarily. But I am treated so well by Royal Bank people and their customers are treated so well, then why wouldn’t you want to deal with them? Thanks Royal Bank people! That’s Pauline’s Profound Points to Ponder on Pi Day.